We used more than 150 Solenoid Valves for steam application during last year. All solenoid valves are working satisfactorily at Client's site. 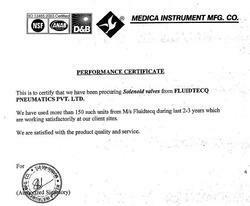 We are happy with Fluidtecq product quality and prompt service. Excellent Solenoid Valves, Pneumatic Cylinder. 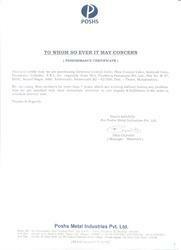 Immediate response to queries and technical assistance. Reasonably happy, we have found a good quality Indian supplier that we can work with in FLUIDTECQ.